Bektaş T. (2005) Relationships between Prosodic and Musical Meters in the Beste Form of Classical Turkish Music. Asian Music; 36 (winter), 1. Bulut, M.Ö. (2011) Kalabalıklar ve Beden Müziği. (Crowds and Body Music) Thesis -Expertise in Arts. Eskişehir: Anadolu University Instititute of Fine Arts. Bulut, M.Ö. (2011) Atölye: “Duygularınızı Harekete Geçirin”. In Neo Filarmoni Issue 4: July-August. Bulut, M.Ö. (2010) Body Music and Socio-Cultural Change. In Music and Music Education within the Context of Socio-Cultural Changes. Ed. N. Kalyoncu, D. Erice, M. Akyüz. Ankara: Müzik Eğitimi Yayınları. Dalcroze, E. J. (1930) Eurythmics, Art and Education. (Trans . Rothwell, F., ed. Cox, C). London: Chatto and Windus. Goodkin, D. (2008) Intery Mintery Nursery Rhymes. San Francisco, CA: Pentatonic Press. Huizinga, J. (1955) Homo Ludens: A Study of the Play Element in Culture. Boston, Massachussetts:Beacon Press. Mooney, P. (2009) Black is the New White. New York, NY: Simon and Schuster. Oskay, Ü. (2001) Müzik ve Yabancılaşma (Music and Alienation). İstanbul: Der Yayınları. Özkan, İ.H. (2003) Türk Musikisi Nazariyatı ve Usülleri (Turkish Music Theory and Usüls). Ankara: Ötüken Neşriyat. Paddison, M. (1998) Adorno’s Aesthetics of Music. Cambridge: Cambridge University Press. Terry, K. (2002) Body Music with Keith Terry Part One. Instructional DVD. Oakland, CA: Crosspulse Media. Terry, K. (1989) Body-Music Keith Terry.pdf (1989). 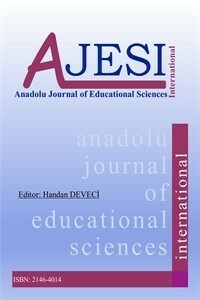 http://www.teaching.crosspulse.com/ [accessed on 24.11.2011, 22.15 hrs]. Titon, J. T.(2009) Worlds of Music: An Introduction to the Music of the World's Peoples, Shorter Version. Rhode Island: Cengage Learning.